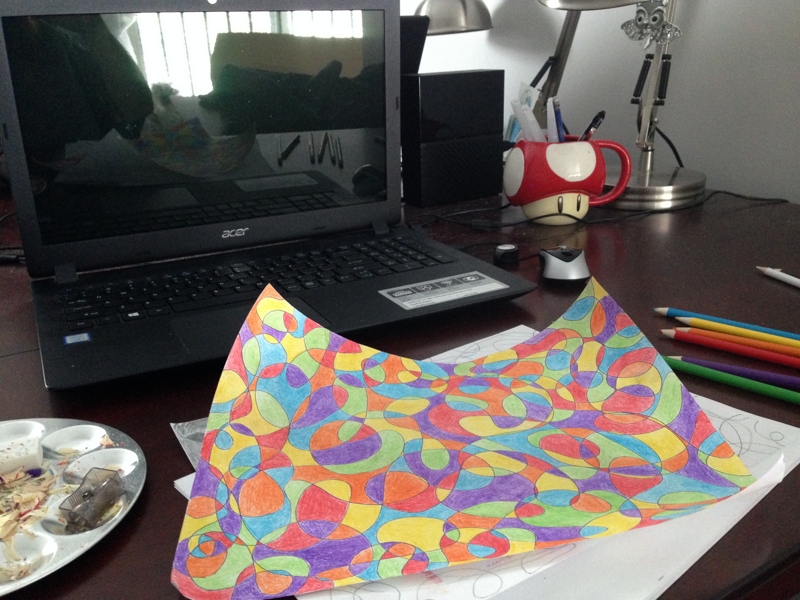 In March I was inspired to make an abstract doodle design coloured with pencil crayons. I thought it turned out quite interesting and thought it would look good on some decor and fashion items. My pencil crayon doodle design is pictured above. Although the pattern is funky and fun I came to the conclusion that this design is very busy and makes a better accent piece than the main focus. I then decided to create a couple of more subtle patterns to compliment the doodle piece with the same pencil crayon texture theme throughout. Below you will find swatches of my large abstract stripe pattern using the blue green and yellow from the doodle design as well as a blue texture pattern using the same blue as the doodle and stripe designs. I also designed a piece of decor art to hang on the wall as well. I feel it is nice to have a piece of artwork to tie decor together.